The health of the occupants at the workplace is determined by their microenvironment. American Society of Heating Refrigerating and Air-conditioning Engineers. The productivity and efficiency to the work are linked with the immediate environment of the workplace; however, humans are versatile machines having the capacity to adopt different climatic conditions. The adequate lighting conditions, suitable temperature, and humidity, calm atmosphere and hygienic conditions in the workplace may increase attentiveness and will reduce the rate of errors, increase productivity and may improve the quality of products and services, lower rates of absenteeism and employee turnover, fever accidents and reduction of health hazards. It is reported that deviation in the microenvironment may curtail mental and physical operation of the workplace. Thus, thermal comfort becomes essential for humans to perform in the workplace. The excessive loss of heat to cold environment during winter may constrict outer blood vessels, result in the decrease of blood flow to the outer surface of the skin and body may undergo muscular tension. Human tolerance to humidity variations is much greater than the tolerance to temperature variations, but control of humidity is important for the workplace. Experimental studies have shown that skin humidity is a major reason for discomfort at high humidity ,, could cause a negative effect on the subject's thermal comfort  and high humidity may also influence the growth of fungi at the workplace. High humidity causes condensation problems in cold surfaces and retards human heat loss by evaporative cooling (cooling and respirations). The operative temperature range for indoor occupant in typical winter clothing (0.8–1.2 clo) is specified as 68–74°F (20–23.5°C). The preferred temperature range for occupants dressed in summer clothes (0.35–0.6 clo) is 73–79°F (22.5–26°C) and the proper light, ventilation, noise and hygiene are also essential. Carpet-weaving industry is a labor intensive and one of the most tedious professions, requiring long hours of static work. Carpet workers are exposed to different types of health-risk factors in different seasons during the year. It is advocated when the environment conditions become harsh, risk for developing various types of diseases increases. These problems are further aggravated when the environmental conditions in the workplace deteriorate. The working environment in most carpet industry is unsafe and unhealthy in India. This means poorly designed workstations; unsuitable furniture; no ventilation; inappropriate lighting, no heating and cooling arrangements during different seasons; excessive amount of suspended particulate matter; insufficient safety measures and no personal protective equipment. People working in such environments are prone to occupational diseases. Previous studies have reported occupational exposure of carpet-weavers at locations that have cold climate like Kashmir  where carpet units tend to be enclosed. These conditions differ from those in Gwalior, where carpets are weaved in open ventilated areas during summer and in enclosed areas during winter seasons as Gwalior has extreme climatic conditions, scorching summer and chilly winter as compared with other parts of India. However, occupational hazards and health problems of carpet-weavers have not been adequately explored in northern provenance of Madhya Pradesh with special reference to different seasons. There is a need to evaluate the impact of climatic conditions and biological contaminants on the health of weavers working in these carpet units. Notably, our evaluation was conducted during every season throughout the year as Gwalior is having an extreme hot and cold season of the India subcontinent, and we investigated the fungal contamination simultaneously. We selected villages that were totally isolated from the Gwalior main city in order to reduce the impact of background pollution. We documented a high prevalence of different types of disease among the working group during the winter season. 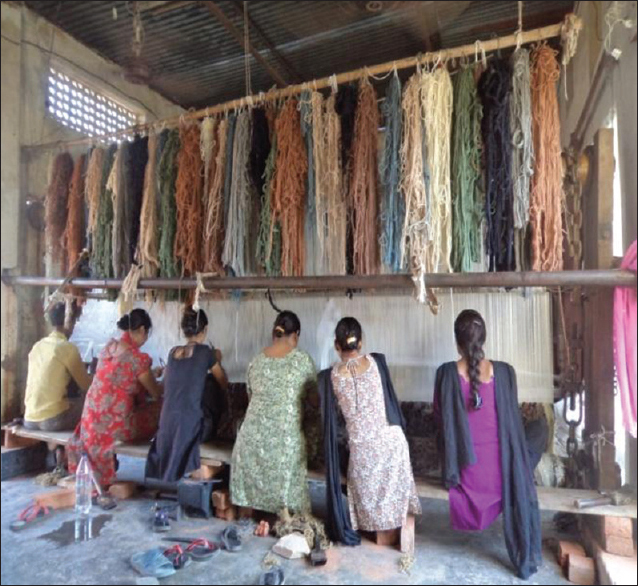 The study was designed with the objective to know the prevalence, of various risk factors and coping up strategies to minimize the impact upon the health of weavers working in the carpet industry under severe climatic conditions. We believe that improvement in the working conditions may not only improve the quality of work but may also help increase production. The second part of the questionnaire was subdivided into different types of diseases viz., respiratory disease, musculoskeletal diseases, physical disorders, and general disease. The target group was the workers of the age between 10 and 50 years and the experimental subjects were divided into four groups according to their age (A: 10–20; B 21–30; C: 31–40; D: 41–50). The present study was conducted in Gwalior city, situated in the northern province of Madhya Pradesh (India) at Latitude 26° 220 N and Longitude 78° 180 E, having total area of 5214 km 2. It has an average elevation of 197 m (646 ft). The climate of Gwalior region may be described as composite with hot and dry summers, hot and humid rainy season and short autumns and winters. Mean maximum temperature in summers is 38°C, with the highest maximum of 48°C and mean minimum temperature in winters is 18.5°C with the minimum range of 1–3°C. The city region is within a rain shadow zone, and the rainfall in the area is 700 mm/annum, which is half the average rainfall during the monsoon months in the state. Thus, the scorching summers and chilly winters provide variable environmental scenarios to occupants and result in different types of health problems. Indoor temperature and humidity were measured by an indoor thermo-hygrometer (Thermo-hygrometer 288, CTH, Instruments and Machinery Corporation, Maharashtra, India) in the morning, afternoon and evening for 10 consecutive days, during every month. Light intensity was measured using a Digital Lux Meter (MS 6610 Instruments and Machinery Corporation, Maharashtra, India) at an interval of 20–30 s for 45 min. Six independent measurements were taken to analyze the average light value, during every month. Noise intensity was measured using a sound level meter (Sound Level Meter SL 4010, Digital Sound Level Meter, LUTRON, Taiwan; Make Model SL-4010, range: 35–130 dB instruments) at an interval of 20–30 s for 45 min. Six independent measurements were taken to analyze the average noise value, during every month (Catlin, 1986). Sampling of culturable airborne microfungi was done using the petri plate gravitational settling method. Samples were collected at monsoon, winter and summer season. Petri plates were exposed to air 50–80 cm above ground level for every 15-min indoor sampling session, while outdoor air samples were collected at a height of 150 cm above the ground surface for 15-min. Peptone dextrose agar containing tetracycline hydrochloride was used to catch, enumerate, and isolate the fungi in the air., Tetracycline hydrochloride was added to prevent the growth of bacteria and other contaminants. The plates were incubated at 27°C for 7–10 days and growing fungi were counted at the end of the incubation period and sub-cultured on slant PDA medium in tubes before identification. The results of the temperature, humidity, noise and light were analyzed using one-way analysis of variance with Duncan's multiple range tests for comparison of the significance level (P) between the mean valves of different seasons. The significance of the difference among different age groups was tested using Chi-square test. A P ≤ 0.05 value was considered as a significant difference between the values compared. A total of 83, 78, 70 carpet-weavers in present investigation during monsoon, winter, and summer seasons, 45.4%, 51.7%, and 56.2% of the weavers were smoking/chewing tobacco during monsoon season at the site I, II, and III, respectively, overall 58.9% ± 4.8% of the weavers were found to be chewing/smoking tobacco at the 3 selected sites [Table 1]. Mean temperature in the carpet industry was 24.1 ± 0.3, 24.8 ± 0.4, 23.8 ± 0.4 in monsoon, 11.3 ± 0.3, 10.9 ± 0.3, 11.5 ± 0.4 in winter, 33.3 ± 0.5, 36.0 ± 0.6, 33.9 ± 0.6 in summer at the site I, II, and III, respectively. A significant difference in the mean temperature (°C) was observed at the carpet industry during monsoon and winter season, winter and summer seasons at the site I, II, and III. However, no significant difference in mean temperature (°C) was observed between monsoon and summer at the site I, II, and III. The minimum temperature in the carpet industry was 28.0 ± 0.2, 27.6 ± 0.2, and 28.2 ± 0.3 in monsoon, 18.6 ± 0.4, 18.3 ± 0.5, and 18.9 ± 0.2 in winter, 38.8 ± 0.5, 38.5 ± 0.4, and 39.3 ± 0.4 in summer season at site I, II, and III, respectively [Table 2]. A significant difference in the minimum temperature (°C) was also observed at the carpet industry during monsoon and summer, winter and summer season at site II. However, no significant difference in minimum temperature (°C) was observed between monsoon and summer, winter and summer season at the site I, and III. Maximum temperature in the carpet industry was 34.3 ± 0.2, 34.1 ± 0.2, and 33.8 ± 0.1 in monsoon, 28.3 ± 0.4, 26.1 ± 0.3, and 26.8 ± 0.3 in winter, 24.6 ± 0.4, 25.6 ± 0.7, and 25.8 ± 0.4 in summer season at the site I, II, and III, respectively [Table 2]. A significant difference in the minimum temperature (°C) was observed at the carpet industry during monsoon and winter season at the site I, II, and III. A significant difference in the maximum temperature (°C) was observed at the carpet industry during monsoon and winter season at the site I, II, and III. A significant difference in the maximum temperature (°C) was also observed at the carpet industry during winter and summer season at site II, and III. However, no significant difference in maximum temperature (°C) was observed in the other seasons analyzed. The observed maximum and minimum average humidity were above the standards (30–60%) set by ASHRAE for performing different kinds of activities at the work place. Mean humidity (%) in the carpet industry was 75.9 ± 0.2, 77.6 ± 0.1, 72.1 ± 0.2 in monsoon, 72.2 ± 0.9, 70.4 ± 0.5, 72.0 ± 0.3 in winter, 40.9 ± 1.5, 38.5 ± 1.5, 48.6 ± 1.6 in summer at the Site I, II, and III, respectively. A significant difference in the mean humidity (%) was observed at the carpet industry during monsoon and summer, winter and summer season at the site I, II, and III. However, no significant difference in mean humidity (%) was observed between monsoon and winter at the site I, II, and III [Table 2]. The light intensity (lx) at the carpet industry clearly indicates that the light intensity is below the standards, this much of light intensity will cause eye irritation, eye strain and sometimes a worker takes harmful postures in order to adjust themselves so that they can see things clearly. The mean level of light intensity in the carpet industry was 564.9 ± 35.5, 550.7 ± 36.3, 437.4 ± 22.7 in monsoon, 455.8 ± 18.4, 441.6 ± 19.9, 407.3 ± 29.3 in winter, 533.7 ± 22.2, 421.0 ± 19.0, 440.0 ± 16.1 in summer at the site I, II, and III, respectively [Table 3]. No significant difference in mean intensity of light (lx) was observed between the seasons analyzed. The minimum level of light intensity in the carpet industry was 234.9 ± 22.8, 236.7 ± 23.1, 220.9 ± 13.7 in monsoon, 267.8 ± 11.5, 209.8 ± 11.9, 248.5 ± 11.4 in winter, 331.6 ± 12.7, 287.3 ± 14.6, 306.1 ± 13.0 in summer season at the site I, II, and III, respectively [Table 3]. A significant difference in the minimum intensity of light (lx) was observed at the carpet industry during monsoon and summer season at site III. However, no significant difference in minimum intensity of light (lx) was observed between monsoon and winter and winter and summer at the site I, II, and III. Maximum level of light intensity in the carpet industry was 873.3 ± 20.3, 851.6 ± 23.9, and 669.2 ± 17.7 in monsoon, 639.8 ± 12.8, 630.8 ± 12.8, 563.5 ± 10.9 at the Site I, II, and III, respectively [Table 3]. A significant difference in the maximum intensity of light (lx) was observed at the carpet industry during monsoon and winter at the site I, and II. Furthermore, significant difference in the maximum intensity of light (lx) was observed at the carpet industry during monsoon and summer at site I. However, no significant difference in minimum intensity of light (lx) was observed during other seasons analyzed. This was not found to be satisfactory when compared to the standard levels of 500 lx recommended by Choobineh et al. (2004). The mean sound intensity in the carpet industry was 64.6 ± 0.5, 64.1 ± 0.4, and 65.5 ± 0.4 in monsoon, 64.5 ± 0.5, 65.5 ± 0.5, 65.3 ± 0.4 in winter, 65.4 ± 0.4, 66.6 ± 0.5, 66.7 ± 0.5 in summer season at the site I, II, and III, respectively [Table 4]. No significant difference in mean intensity of noise (dB) was observed between the other seasons analyzed. The minimum sound intensity (dB) in the carpet industry was 63.0 ± 0.7, 62.5 ± 0.4, 62.9 ± 0.4 in monsoon, 60.7 ± 0.3, 59.6 ± 0.2, 61.2 ± 0.2 in summer season at the site I, II, and III, respectively [Table 4]. A significant difference in the minimum intensity of noise (dB) was observed at the carpet industry during monsoon and winter, monsoon and summer season at the site I, and II. Furthermore, a significant difference in minimum intensity of noise (dB) was observed between monsoon and summer at site III. However, no significant difference in minimum intensity of noise (dB) was observed between winter and summer at the site I, II and III and monsoon and summer at site III. The maximum level of sound intensity was 68.4 ± 0.5, 67.0 ± 0.5, 68.9 ± 0.3 in monsoon, 70.4 ± 0.3, 71.9 ± 0.1, 70.3 ± 0.1 in winter, 60.9 ± 0.2, 72.2 ± 0.2, 72.7 ± 0.1 in summer season at the site I, II, and III, respectively. A significant difference in the maximum intensity of noise (dB) was observed at the carpet industry during monsoon and summer season at the site I, and II. However, no significant difference in maximum intensity of noise (dB) was observed between the other seasons analyzed [Table 4]. 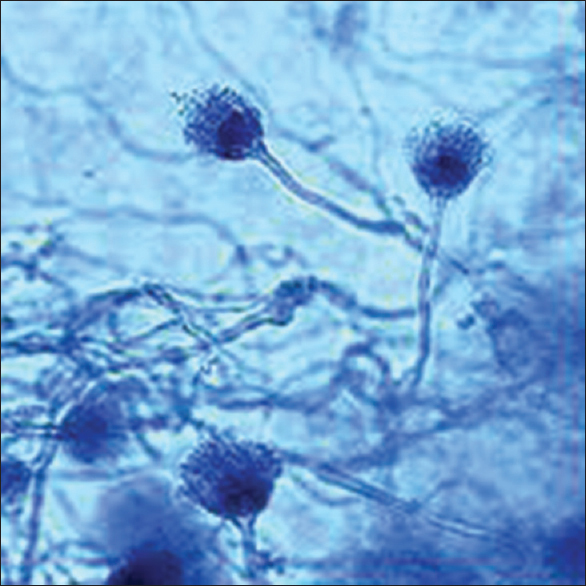 A total of 582 fungal colonies were isolated from both exposed and control environment during the study period. The number of microscopic fungal colonies in exposed environment (518 colonies) appeared to be higher when compared control environment (58 colonies). The major fungi that were present at the workplace are Aspergillus niger, Penicillium citrinum, Aspergillus fumigatus, Aspergillus terreus [Table 5]. Ergonomic issues are observed in a majority of units engaged in weaving carpets in Gwalior. Most of these units have a working environment that is unsafe and unhealthy for the workers. The evaluation of different diseases among carpet-weavers was found to be very high in the study area. The highest prevalence of different physical and ergonomic diseases was found in winter, followed by summer and monsoon seasons. Pain in fingers was found in 93.7%, 61.5%, 60.0%, 56.2%, and 46.1, 16.6%, 11.1%, 33.3% of the workers in the age group of 10–20, 21–30, 31–40, and 41–50 years, respectively, during winter and summer season, and it was 54.8%, 53.3%, 73.3%, and 71.4% of the workers in the age group of 10–20, 21–30, 31–40, and 41–50 years, respectively [Table 6], during monsoon season. A significant difference in pain in fingers was observed in monsoon and winter season among different age groups. Occupational contact dermatitis reaction was found in 30.7%, 66.6%, 29.1%, and 86.6% of the workers in the age group of 10–20, 21–30, 31–40 and 41–50 years, respectively, during summer season. Highly significant difference in an allergic reaction was observed in the summer season among different age groups. Eye irritation was found in 87.5%, 65.3%, 65%, 50%, and 46.1%, 62.5%, 88.8%, 73.3% of the workers in the age group of 10–20, 21–30, 31–40 and 41–50 years, respectively, during winter and summer season. However, eye irritation was found in 61.2%, 73.3%, 86.6%, and 57.1% of the workers in the age group of 10–20, 21–30, 31–40 and 41–50 years, respectively, during monsoon season. A significant difference in eye irritation was observed in winter, summer and monsoon season among different age groups. Skin allergy (pruritus) was found in 58%, 70%, 60%, and 28.5% of the workers in the age group of 10–20, 21–30, 31–40 and 41–50 years, respectively, during monsoon season [Table 7]. A significant difference in skin allergies (pruritus) was observed in the monsoon season among different age groups, and highly significant difference in skin allergies (pruritus) was observed in winter season among different age groups. Shortness of breath was found in 62.5%, 57.6%, 80%, and 81.2% of the workers in the age group of 10–20, 21–30, 31–40, and 41–50 years, respectively, during winter season. A significant difference in shortness of breath was observed in winter season among different age groups [Table 8]. The present work shows that poor working conditions and occupational problems prevail in the carpet industry in Gwalior. The majority of the occupational problems are due to poor working environment of the workplace, and this study revealed that the workers questioned suffer from three to five different health problems. Accidents are also common, but no protective measures have been taken so far to minimize such incidents, use of personal protective equipment has been almost negligible at these units. Moreover, the workers have never received training of any type to update their technical skill: Both male and female workers with no primary education are employed in these units. The data presented reveal that the majority of the respondents were in financial stress due to low monthly income. Most of the workers were engaged in this profession from last 10 years or above. Respondents indicated that heavy economic stress, escalating prices, low literacy rate and unavailability of alternate professions, forces them to do this job under severe environmental conditions. The workers further reported that they had been never visited by the health department to check their ailments. Many of the physical examination findings were statistically correlated among different age groups. The health findings are consistent with the earlier observation about the ergonomics of traditional looms  and the insufficient ventilation and lighting. Carpets weaving under high-temperature and high-humidity or strenuous physical activities have a high potential for inducing heat stress to the workers. High relative humidity may cause some physical disorder [Table 9], relative humidity of the air directly affects temperature perception. Our study also revealed that these health discrepancies demonstrate low lighting conditions, unsuitable temperature and humidity, high fungal contamination, in home-based workplaces. Highly significant difference was observed in eye irritation and skin allergy among different age groups at the workplace. Heat is continuously produced by bodily processes and dissipated in an automatically regulated manner to maintain the body temperature at its correct level of physiology. The experience of comfort is the achievement of thermal equilibrium with the minimum amount of body regulation. Extremely low (below 20%) relative humidity may also cause eye irritation , and moderate to high levels of humidity have been shown to reduce the severity of asthma. Moreover, due to low and high-temperature weavers adopt different harmful postures to retain and lose heat from their body that develops constriction of back muscles [Figure 1]. This may lead to poor circulation of blood to the worker's legs which may develop into back pain and joint pain among the workers during different seasons. The type of loom, where weavers are weaving contributes in developing MSD such as neck, shoulders, and legs. The questionnaire showed that musculoskeletal symptoms were common among weavers. This indicates that the carpet can be considered as a high-risk occupation for developing musculoskeletal disorders. The workers within the carpet industry in Gwalior are also exposed to low level of light as compared with the standard mentioned in earlier reports. The poor level of illumination is very unhealthy for the type of work, which is performed by carpet-weavers. The high prevalence of eye irritation and headache among the carpet-weavers may be also due to the low level of illumination at the workplace during winter. Young weavers are a pressing health issue in the carpet industry of Gwalior. The higher risk in young workers is well known.,,,,, The injuries investigated were mainly due to an imbalance, handling/carrying objects, physical exertion, handling tools, pain caused by performing. The observed humidity and temperature at the workplace were beyond the limit's sets by ASHRAE. The high humidity at the carpet units may cause different symptoms among the weavers. They get tired sooner at higher temperature and high humidity, which decrease their work performance and hence productivity. The high humidity of the workplace is responsible for the growth of fungi like Aspergillus that may cause skin allergies and eye irritation among the workers. On the other hand, the unhygienic condition prevailing in the carpet units may add the already existing problems. Other species such as A. niger, Aspergillus parasiticus, A. fumigatus [Figure 2] and A flavus also bear great importance in terms of possible health effects viz., hay fever, asthma, coughing, sneezing among the weavers.,, A. terreus [Figure 3] may cause opportunistic infection in carpet industry weavers with deficient immune systems, but may also cause disease in immunocompetent individuals, and P. citrinum [Figure 4] cause keratitis, ear infections, pneumonia and urinary tract infections. Only a few workers reported the problems of hearing loss in our study. The noise intensity at the workplace was well within the limits set by CPCB India. The few cases of hearing loss at the workplace may be due to the presence of fungi A. niger, which produces fungal balls known as aspergilloma. The present study showed that there was a high rate of poor working conditions and musculoskeletal problems for the Gwalior carpet industry. In conclusion, our study reported high prevalence of respiratory and musculoskeletal diseases among the carpet-weavers of Gwalior that were similar or lower than that previous reported in such a type of similar studies. Our study indicated that people working in extreme cold environment are more prone to various occupational diseases as compared to people who work in the temperate environment. Further research is required to build up effective preventative or ergonomic strategies that may be applied to the carpet industry to decrease the incidence of occupational diseases. The main cause for musculoskeletal symptom in carpet-weaving in Gwalior is self-designed weaving workstations and poor lighting conditions. Therefore, interventions toward designing ergonomic weaving workstations and carpet-weaving hand tools should also be regarded as a main concern for improving the situation for workers in the carpet-weaving industry. Therefore, there is an immediate need for government cooperation to provide a safer environment and proper ergonomics for weavers in the carpet industry of Gwalior. There must be some provisions to use masks, earplugs, first aid facilities and proper uniform as personal protective equipment that may reduce the burden of diseases among workers. We are highly thankful to Madhya Pradesh Council of Science and Technology (MPCST), Bhopal, for their financial support. The authors thank weavers, Rafiq Lone and Surendra Singh Parihar for their kind participation and cooperation. We are also thankful to Management of ITM University, Gwalior for providing all the necessary facilities for this work. American Society of Heating, Refrigerating, and Air Conditioning Engineers. ASHRAE Handbook of Fundamentals. Atlanta, GA, USA: American Society of Heating, Refrigerating, and Air Conditioning Engineers, Inc.; 2009. American Society of Heating, Refrigerating, and Air-conditioning Engineers. Standard 55 – Thermal Environment Conditions for Human Occupancy (ANSI approved 1992). Atlanta, GA, USA: American society of Heating, Refrigerating, and Air-conditioning Engineers, Inc.; 1992. Sterling TD, Arundel A. Possible carcinogenic components of indoor air: Combustion byproducts, formaldehyde, mineral fibers, radiation and tobacco smoke. J Environ Sci Health 1984;C2:185-230. Richard BG, Berven BA, editors. Indoor Air and Human Health. 2nd ed. UK:CRC Press; 1996. Berglund LG, Cunningham DJ. Parameters of human discomfort in warm environments. ASHREA Trans 1986;92:732. Berglun LG. Comfort and humidity. ASHRAE J 1998;40:35-41. Gagge AP. An effective temperature scale based on a simple model of human physiological regulatory response. ASHREA Trans 1971;77:247-62. Jing S, Li B, Tan M, Liu H. Impact of relative humidity on thermal comfort in a warm environment. Indoor Built Environ 2013;22:598-607. Wani KA, Mamta K, Khan TA, Lone R. Fungal contamination of carpet industry of Gwalior Madhya Pradesh (India). Indoor Built Environ; 2013;23:724-729. Richard H. Climate Responsive Design: A Study of Building in Moderate and Hot Humid Climates. UK: Brunner-Rutledge; 2000. Vaughn B. The Building Environment: Active and Passive Control Systems: ASHRAE Thermal Comfort Standard. Hoboken, New Jersey: John Wiley and Sons; 2010. p. 25. Ivy AC. What is normal or normality? Q Bull Northwest Univ Med Sch 1994;18:22-32. Wani KA, Jaiswal YK. Health risk factors in different seasons of carpet industry in Kashmir, India. Int J Occup Saf Ergon 2012;18:571-7. Choobineh A, Shahnavaz H, Lahmi M. Major health risk factors in Iranian hand-woven carpet industry. Int J Occup Saf Ergon 2004;10:65-78. Anita V, Jaiswal YK, Wani KA. Energy Consumption Behaviour of an Urban Residential Sector in the Northern Province of Madhya Pradesh (India). Indoor Built Environ 2012;21:703-9. Catlin FI. Noise-induced hearing loss. Am J Otol 1986;7:141-9. Abdalla MH. 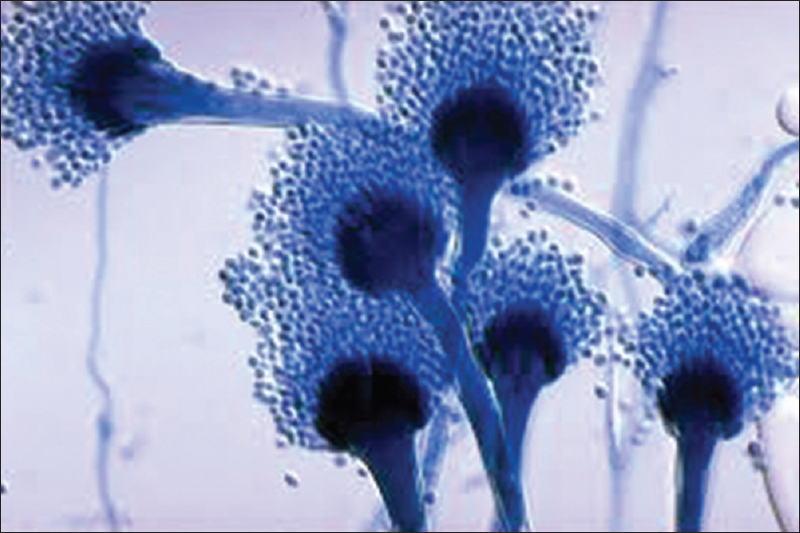 Prevalence of airborne Aspergillus flavus in Khartoum (Sudan) airspora with reference to dusty weather and inoculum survival in simulated summer conditions. 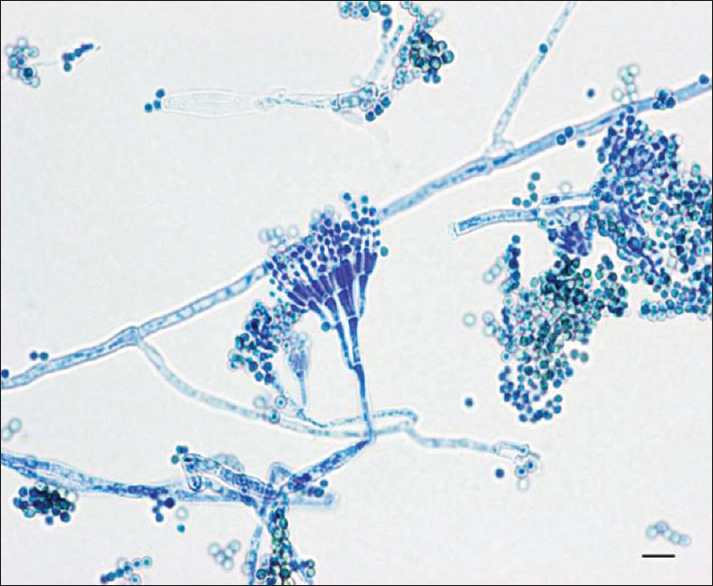 Mycopathologia 1988;104:137-41. Li DW, Kendrick B. Indoor aeromycota in relation to residential characteristics and allergic symptoms. Mycopathologia 1995;131:149-57. Barnett KH, Hunter BB. Illustrated Genera of Imperfect Fungi. 4th ed. Minnesota, USA: St. Paul. APS Press; 1999. p. 218. Sime AD, Abbott LL, Abbott SP. A mounting medium for use in Indoor Air Quality spore-trap analyses. Mycologia 2002;94:1087-8. American Society of Heating Refrigerating and Air conditioning Engineers (ASHRAE). Thermal Environment Conditions for Human Occupancy (Standard No. ANSI/ASHRAE 55-2004). Atlanta, GA, USA: ASHRAE; 2004. Attwood, D. Comparison of discomfort experienced at CADD, word processing, and traditional drafting workstations. International Journal of Industrial Ergonomics 1989;4:39-50. Waersted M, Westgaard RH. Working hours as a risk factor in the development of musculoskeletal complaints. Ergonomics 1991;34:265-76. Meyer B. Indoor Air Quality. Mass: Addition-Wesley; 1983. MacIntyre DA. Response to atmospheric humidity at comfortable air temperature: A comparison of three experiments. Ann Occup Hyg 1978;21:177-90. Eng WG. Survey on eye comfort in aircraft: I. Flight attendants. Aviat Space Environ Med 1979;50:401-4. Strauss RH, McFadden ER Jr, Ingram RH Jr, Deal EC Jr, Jaeger JJ. Influence of heat and humidity on the airway obstruction induced by exercise in asthma. J Clin Invest 1978;61:433-40. Motamedzade M, Moghimbeigi A. Musculoskeletal disorders among female carpet weavers in Iran. Ergonomics 2012;55:229-36. Armstrong TJ, Buckle P, Fine LJ, Hagberg M, Jonsson B, Kilbom A, et al. A conceptual model for work-related neck and upper-limb musculoskeletal disorders. Scand J Work Environ Health 1993;19:73-84. Bazroy J, Roy G, Sahai A, Soudarssanane MB. Magnitude and risk factors of injuries in a glass bottle manufacturing plant. J Occup Health 2003;45:53-9. Bhattacherjee A, Chau N, Sierra CO, Legras B, Benamghar L, Michaely JP, et al. Relationships of job and some individual characteristics to occupational injuries in employed people: A community-based study. J Occup Health 2003;45:382-91. Brett YB. Accidents and Professional Diseases. Face Risk 2004;399:13-9. Cahu N, Mur JM, Benamghar L, Siegfried C, Dangelzer JL, Francais M, et al. Relationships between some individual characteristics and occupational accidents in the construction industry: A case-control study on 880 victims of accidents occurred during a 2-year period. J Occup Health 2002;44:131-9. Cloutier E. The effect of age on safety and work practices among domestic trash collectors in Quebec. Saf Sci 1994;17:291-308. McCaig LF, Burt CW, Stussman BJ. A comparison of work-related injury visits and other injury visits to emergency departments in the United States, 1995-1996. J Occup Environ Med 1998;40:870-5. Jarvis BB. Mycotoxins and indoor Air Quality In: Morey PR, Feeley JC, Often JA, editors. (Biological Contaminants in Indoor Environments. ASTM) STP 1071. Philadelphia, PA. Printed in Baltimore, MD: American Society for Testing and Materials (ASTM); 1990. p. 201-14. Miller JD. Fungi as contaminants in indoor air. Atmos Environ 1992;26A: 2163-72. Gautam AK, Sharma S, Awasthi S, Bhadauria R. Diversity, pathogenicity and toxicology of A.niger: An important spoilage fungi. Res J Microb 2011;6:270-80.